Like people who are mortal, ecclesiastical stained glass won’t last forever. Stained glass windows that are used for decorative purposes or to illustrate Biblical stories often need restoring and re-glazing once they have reached 80 years or so of service. At that point, it is likely that both the integrity of the installation and the appearance of the glass are compromised. 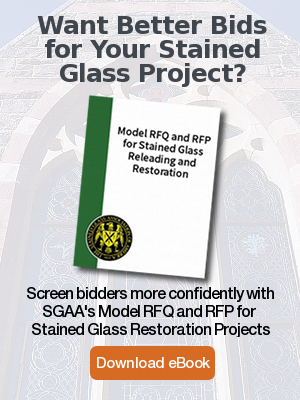 Sometimes, church stained glass windows need restoration even before their eighth decade. This was certainly the case with the altar windows of the White Plains Presbyterian Church. 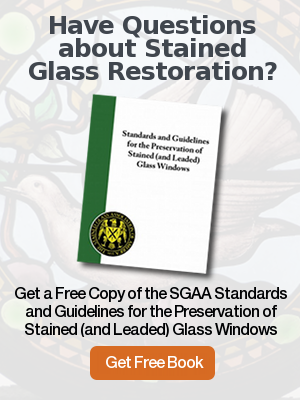 This historic church presented the original glass fabricated by Calvert, Herrick and Riedinger, a New York City-based firm that created and installed its stained glass lancet windows around the 1930’s. By 2012, the minister and lay leaders knew that their windows were in bad condition, but they were reluctant to move ahead with the work. Like a lot of churches, they preferred to do stained glass repair rather than restore the windows. They first solicited bids from vendors about a year-and-a-half ago. However, the situation became more urgent in early 2014. Gregory Rohlf, Vice President of Rohlf’s Stained Glass & Leaded Studio, visited to assess the scope of work that would be needed to restore the five-part window to the architectural beauty that it once was. He saw that a proper restoration of the church’s stained glass windows entailed not only taking apart the component parts of the windows to clean and re-glaze them, but also a major overhaul of the structural support system. To elaborate on this last point: The stained glass windows weren’t reinforced correctly and sections were sitting on top of each other so that the bottom of each section was totally collapsed. This led to buckling of the glass and water problems. He offered two options, so that the client could decide what best met their budget and needs. 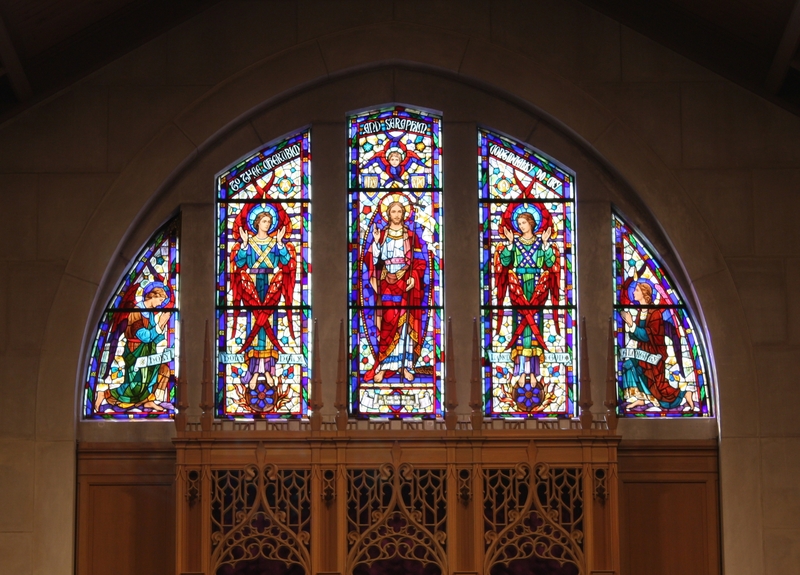 The entire process took five weeks from the initial removal of the church stained glass during the first week of January 2014, to the reinstallation of the windows in February 2014. Over this period, the colored glass pieces were disassembled, soaked and cleaned. Whatever was broken or cracked or suffered damage in some way, was replaced. In addition, new lead was made to fit precisely where it was needed, and then the panels were re-glazed and waterproofed. Lastly, the glass panels were mounted into a proper structural support system to prevent future bulging. It was a total rejuvenation for the church’s stained glass. 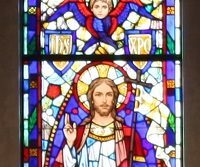 Nowadays, visitors to White Plains Presbyterian Church can marvel at the colorful stained glass windows that shine brightly. As the cliché goes, seeing is believing. However, seeing more brightly can also nourish more thoughtful reflection and a deeper spiritual connection! For more information on White Plains Presbyterian Church you may visit its Website.